Below is a selection of events that our office has funded for the month through our smART ventures grant program. SmART ventures is a Seattle-based, flexible awards program that encourages innovative ideas, creates community impact, and provides new access for individuals and groups not served by our other programs. SmART ventures seek to widen arts and cultural participation, particularly of diverse or underserved communities. We hope to see you at one of these great events! Artist Fernando Argosino, with his dedication to the comics and community, will engage members of the Filipino community to create a large geographically correct cartoon map of Seattle that will commemorate relevant historical, contemporary, social and personal Filipino-American sites. Dates and Location: May 6-July 31, 14605 16th Ave. W.
A six-month long event bringing contemporary video art to eight different neighborhoods across Seattle and featuring the work of 11 individual video artists. 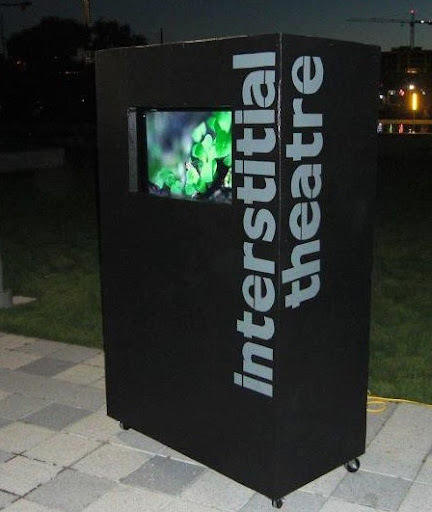 Interstitial Theatre is a curatorial team of three female artists living and working in Seattle who believe that video art has significant value. They develop impactful exhibitions that address important issues relevant to the video and new media arts community within Seattle. The Mobile Screen Tour is a six-month long event from April through September providing free public access to contemporary video art within eight different neighborhoods across Seattle via Interstitial Theatre’s Mobile Screen.